The Young Victoria movie was shown year 2009 but I have only watched this movie last night. It was shown several times in Star Movies and last night was a good chance for me to watch it fully. At first I am thinking that it would be a boring movie but with my interest in history, I decided to keep an eye for it. 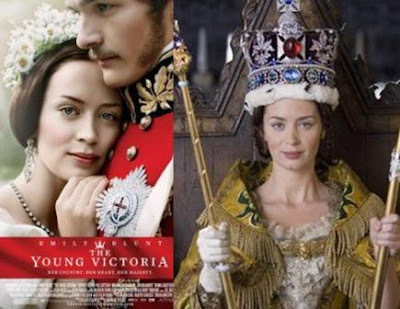 The Young Victoria movie was about the dramatization of the first years of Queen Victoria’s rule where she inherited the throne at the very young age of 18 after her father’s three elder brothers died. The movie also showed her enduring romance with Prince Albert. I really like the part of the movie when Prince Albert and Queen Victoria are writing and exchanging letters. In the story it showed how excited they are with each other when they receive the letter. I think Rupert Friend portrays very well as Prince Albert. He is very romantic, tender, protective and affectionate that every woman love in a man. I almost fall in love with him in the movie. The most beautiful part of the movie that I love is the conversation scene of Prince Albert and Queen Elizabeth while Prince Albert is resting after the doctor sees him. He was wounded from protecting Queen Victoria from the attempted gun shot of an 18-year old man while they are riding in a carriage on their way to visit Queen Victoria’s mother. You’re not replaceable to me. that you are Queen but I am not the King. These lines carried me away. I almost have teary eyes in this movie scene. How dear, sweet, affectionate and lucky wife I am hearing the lines of Prince Albert in the movie. Rupert Friend as Prince Albert have really lovely eyes that look so calm, relax and kind. Although Prince Albert died after twenty years of their reigned together as they have champion reform in every part of their expanding empire, the Queen survived her husband to be the longest reigning Sovereign in British history to date. The movie won Oscar awards and nominations. I would recommend this movie. This entry was posted in Review and tagged reaction about the young victoria movie, The Young Victoria movie, the young victoria movie review. Bookmark the permalink. my friend lend me a copy of this. still don’t watch it but with your recommendation. i think i have to watch it this weekend.